How much does electric heating cost to use? “How much power will the electric heating system use, and how much will it cost me?” This is one question that I was asked today. When I advised the customer that I didn’t know how much a new heating system would cost to run, he put the phone down before I could explain further.The gentleman curtly announced that he would go to another supplier, who was more knowledgeable on such things, and that was the end of our conversation. I suspect that we lost that sale, but I’ll live with it. Some heating suppliers just want the sale. I’m sure that the gentleman found a reassuringly precise answer elsewhere. There are, after all, a number of electric heating companies that will readily offer figures on running costs and cost savings. We won’t give this information to our customers, purely because it is impossible for us to know, and we do not mislead anyone for the sake of a sale. We can offer some rough guides, but the actual price that you will pay is impossible for us to predict. On our Running Costs Page, we detail exactly why. Any supplier worth their salt should know that the running costs of any electric heating system cannot be determined without considerable time and expense – more than is available to the average homeowner. Our advise to anyone who is looking for an electric heating system, would be to question any supplier who tells them the running costs. The figures offered will be inaccurate at best, and sometimes just misleading. To test heat loss, homes are sealed and filled with air. The air pressure is then monitored. Usually a consultation from an energy assessor would be required to begin with. 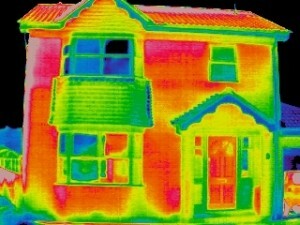 An EPC grading tells only a small part of the story though, and relates to the property in general. Sometimes EPC ratings are just wrong though. Some homes are much colder than others, for a number of reasons. Many times we have seen old, electric-only properties with single glazing, and no cavity-wall insulation, that have achieved the same EPC rating as a new-build property, which has a mains gas supply. To further complicate matters, there have been instances of newer homes that were found to have little or no insulation. A thermal image. Red areas show where the most heat is being lost. The reality is that the actual heat-loss characteristics of an individual property are very difficult to determine. A detailed survey of the construction would need to be carried out. Thermal imaging would be necessary , and an air-tightness test, using fans, seals, and barometric test equipment would be required. Data regarding the heating appliances, the local climate, and also the tariff then need to be collated. 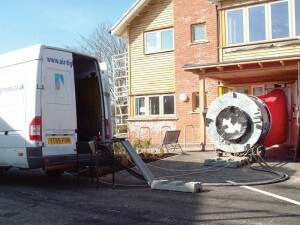 Only then can you begin to understand what the real running costs of an electric heating system might be. We have a list of some of the other variables that must be taken into account, on the Running costs Page. Although some electric heating companies may have commissioned laboratories to test the performance characteristics of their radiators, the test data should not be considered as relevant to the running costs that you will experience. Any figures obtained from tests can only be relevant to those tests. Of course, we know that high-quality electric heating systems will usually perform better than those of a lesser quality, and they will certainly last longer. We also know that decent electric radiators perform better than panel heaters, convectors, fan heaters, storage heaters, and the like. The heating effectiveness and energy consumption will vary, according to the type of radiator, the accuracy of the thermostat, and the design of the appliance. What will have the greatest impact on the price that you pay to stay warm though, is the property itself. Our quotations are free, and without obligation. Your personal heating specification will be generated by an expert using specialist software, to calculate the radiator sizes required for your property. White radiators with plastic end panels turn yellow! As the plastic is exposed to continuous heat, it ages fast - turning from white, to a yellow shade. The plastic also becomes brittle, causing serious reliability issues. 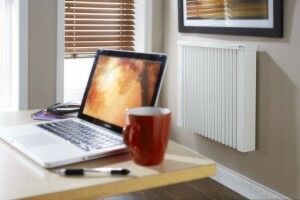 All Ecopower Heating Radiators are built to last, with no plastics used in radiator bodies, or end panels. 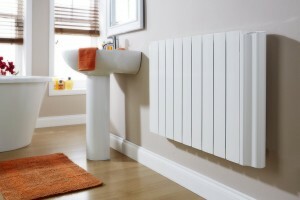 Your Ecopower Heating radiators will look as good as new for many years.